I am a woman of simple needs, simple tastes, and I am very easy to please. 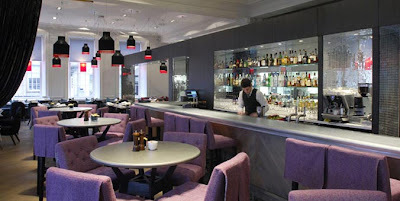 All I want for Valentine's day this year is a fabulous meal at the Blythswood Square Hotel (though not on Valentine's day, as I don't want to order from some bogus special menu, especially as I'm a vegetarian, and those special menus tend to offer fewer veggie choices). 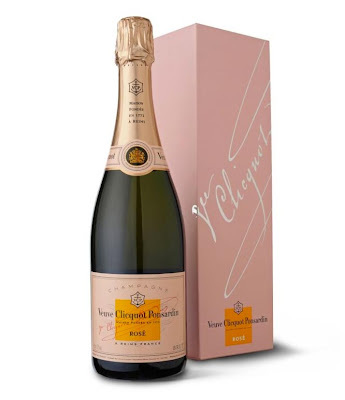 And because I'm a woman of such simple needs, all I need is a bottle of Veuve Clicquot rosé, which I am happy to say, is now available online through Selfridge's website. 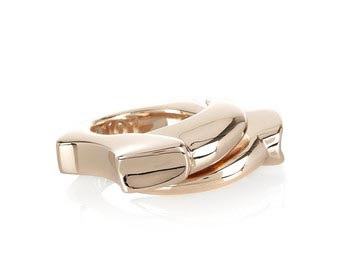 Am because I'm not fussy, I would be happy with this simple rose gold plated ring by Dominic Jones, from the Outnet. You'll be happy to know that it is 60% off. 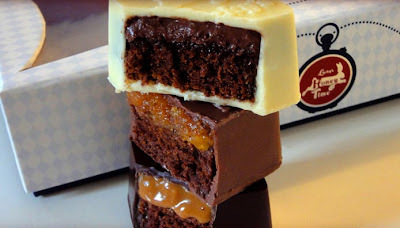 And because I'm so laid back and easy to shop for, I would also be happy with a simple box of chocolates from Lucky's, purveyors of amazingly rich cake/truffle hybrids in a mouth watering array of flavours. And that's it! I am working hard to make this upcoming holiday easier for you, with the enclosed web links, and I am here to answer any questions you may have. Loved this one. As an American as well here in England, you have very good taste. Just hope hubby did as he was asked...lol.